Community Engagement is central to Palaver’s work as a performing ensemble. By connecting musical programming with community partnerships, Palaver seeks to use classical music in new ways to engage diverse audiences in diverse spaces. Past community engagement initiatives include music and storytelling workshops with immigrant communities in Boston, live music and yoga classes, collaborations with visual artists at Anchor House of Artists, and performances at Heartbeet Lifesharing, a Camphill Community in Hardwick, VT. Ongoing partnerships include performances at Boston Medical Center, Carnegie Hall’s Lullaby Project, a songwriting project with expecting mothers, and LifeSongs, a similar project with LGBTQ senior citizens. In the fall of Season 5, Palaver facilitated a series of poetry workshops with members of the Patient/Family Advisory Council at McLean Hospital. Original poetry dealing with mental health challenges was paired with live music in our October concert titled, "Sing to the Moon." The collaboration was centered around making space for dialogue about mental health awareness. In November, Palaver partnered with Maine College of Art as part of its Making Migration Visible exhibition. Inspired by Season 4's Seeking Sanctuary project, this program featured music and storytelling from immigrant communities new to Portland, Maine. This spring, we continue our annual Lifesongs and Lullaby Project initiatives working with members of the LGBT community in Boston and expectant mothers in Maine to write songs and share stories. Palaver Strings is in its fourth year of working with the Boston Medical Center to strengthen an atmosphere of healing, peace, and community by bringing live classical music to three separate institutions on the BMC campus. Three times a year, Palaver members engage with patients, residents, families, doctors, and staff through intimate discussions and performances at Boston Healthcare for the Homeless, Roca Boston, and various units of the medical center. We hope that by performing in spaces that many associate with uncertainty and fear, we will reach people who may be going through difficult times and who can benefit the most from the therapeutic, uplifting, and transformative power of music. The Lullaby Project, initiated by Carnegie Hall, brings pregnant women and new mothers together with professional musicians to write original lullabies for their babies. The project is completed in three sessions: reflection and brainstorming, songwriting, and recording. The project intends to support families in difficult circumstances, nurturing maternal health and child development, and strengthening the bond between parent and child. Palaver has completed Lullaby Projects in partnership with Boston Medical Center, Vital Villages, and Rosie’s Place working with songwriting producer and engineer Matthew Brady. In June 2017, project participant Caitlin Gillespie performed her lullaby, “Harper Rose,” at Carnegie Hall, alongside two members of Palaver. 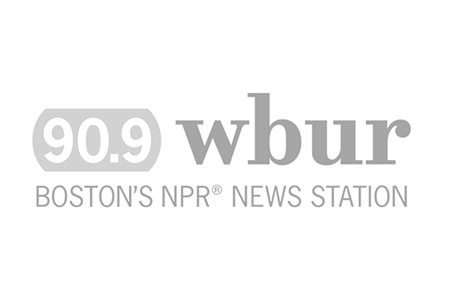 Click the WBUR and Boston 25 news features to learn more about our Season 4 Lullaby Project. In Season 5, Palaver will launch the Lullaby Project in Portland, Maine, working with The Opportunity Alliance and Maine Medical Center NICCU to recruit mothers. Participants will be guided through writing a song for their baby, will have space to connect with other participants, will make and receive a professional recording of their lullaby, and will have the opportunity to perform their song in a public Palaver Strings concert at Longfellow Square. The Lifesongs project celebrates the stories of LGBTQ seniors in our community. Lifesongs was originally conceived by Palaver cellist Matthew Smith, in partnership with the LGBT Aging Project and ETHOS, as a songwriting collaborative between Palaver musicians and elders from the community, who worked together to write original songs with lyrics drawn from participants’ personal experiences. The result were powerful stories of love, loss, courage, and affirmation. In 2019, we will showcase Lifesongs on a larger scale at the Boston Center for the Arts. 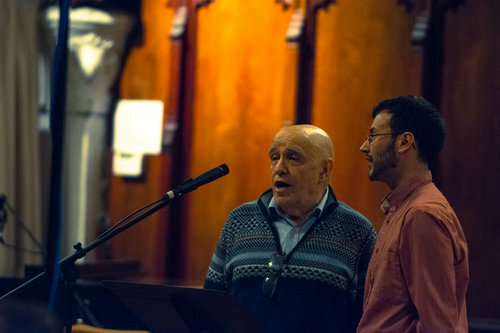 In addition to new Lifesongs participants, the program will feature Samuel Barber’s iconic Adagio for Strings, a new commission by Akenya Seymour, performances by the Theater Offensive, and large-scale renditions of Lifesongs pieces, arranged for Palaver Strings and the Boston Gay Mens’ chorus. As rising bigotry threatens hard-won rights and freedoms, these stories become more important than ever as reminders of where we came from and where we are going.